Maria liked performing and took the starring role in the family ensemble now renamed “The Eight Knapik Sisters.” Introduced at the Festival Mondial du Théâtre Nancy to repetitive ovations, they began international tours, with performances as often as three times a day, not only in traditional theaters and concert halls but also in the largest arenas and outdoor stadiums of Europe. 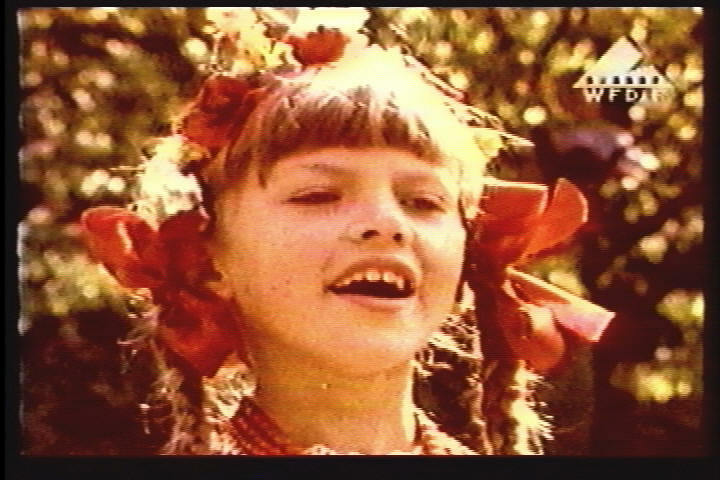 From the age of five, Maria with her Knapik sisters regularly appeared on Polish Radio and on Poland’s TV stations in Krakow and Warsaw. Everywhere, the youngest Knapik (looking like, and acting with the charm of, Hollywood’s Shirley Temple) was singled out for special adulation, heaped with gifts and bouquets taller than she was. It was a rare life for a youngster but Maria remembers these performances as happy family outings. Like the Von Trapp Family, the Knapik sisters invariably appeared in the colorful peasant costumes of their home region, their native Krakow -- i.e., wearing starched white aprons tucked around their hand-embroidered, billowing black velvet dresses and, in their hair, crowns of fresh flowers woven into multi-hued ribbon garlands. Each of the Knapik sisters sang, danced, and played at least two musical instruments while presenting authentic folk music from their rich Polish heritage of polonaises, mazurkas and polkas. From the age of seven, Maria played the violin, adding the trumpet to her repertoire when she was thirteen. In Poland three years ago, in 1997, Maria made her classical debut as the soprano soloist with the Lodz Opera Orchestra during the annually televised Moniuszko Festival. Maria Knapik - Age 5 The oldest Knapik sister was sixteen years older than Maria. And so when Maria was sixteen and nearing college age, her sisters were marrying and having their own families. Therefore, after performing more than 2,800 concerts in tours of Europe and the British Isles, often with audiences of fifteen thousand and more, tours of “The Eight Knapik Sisters” stopped. Musical Studies in Aldeburgh, England, she made her debut as a classical soloist in Mozart’s “Exultate, Jubilate” at the Aldeburgh Festival with the Britten-Pears Orchestra under the direction of Kurt Equiluz. 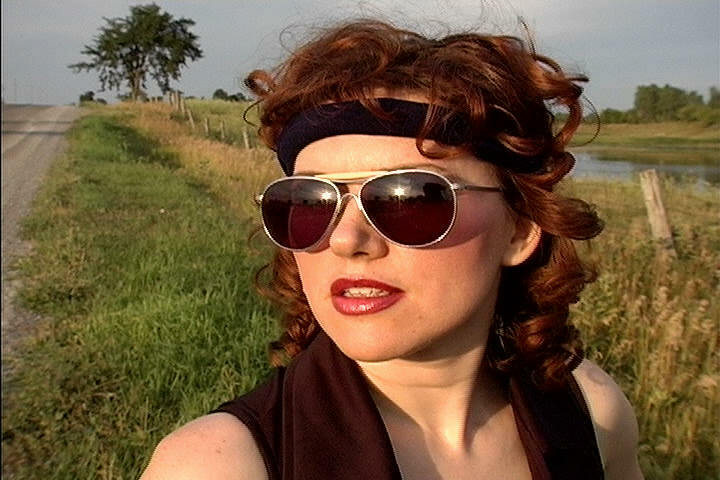 Maria also studied voice in Canada at Wilfred Laurier University and in 1996 was named winner of Montreal’s National Debut Competition for Young Artists, which led to her debut on the SRC, the Canadian Broadcasting Corporation’s French Radio Network. Soon after, on CBC Television, she was the profile subject on the popular “Rockburn and Company.” With Ottawa’s Opera Lyra, in its Young Artist Program, she has been featured in Mozart’s Le Nozze di Figaro and in Verdi’s La Traviata and Rigoletto as well as in its annual Opera RSVP. 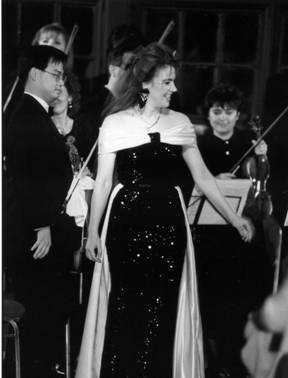 The summer of 1998, named first prize winner at the Accademia Musicale Chigiana in Siena, she was presented in her debut recital in Italy which was televised nationally. The summer of 2000, she was heard in her opera debut in the Czech Republic as Musetta in Puccini’s La Boheme and as Euridice in Gluck’s Orfeo ed Euridice. In the 2001-2002 season, Maria Knapik was heard in her concert debut in the United States: on March 26, 2002, the 175th Anniversary exactly of the death of Ludwig von Beethoven, Ms. Knapik was soloist in an all-Beethoven program with the New York Grand Opera Orchestra, Vincent La Selva conducting, in New York’s Carnegie Hall. On July 3, 2002, Maria Knapik was heard in her opera debut in the U.S. She sang the title role in a staged production of Puccini’s Manon Lescaut at this season’s opening of Opera in New York in New York City’s Central Park to an audience of thousands. On September 15, 2002, Maria Knapik was presented in her opera debut in her native Poland, starring in the title role of the rarely performed Stanislaw Moniuszko opera, The Countess. The premiere performance was broadcast nationally by the Polish State Radio from Warsaw. On January 31, 2003, Maria Knapik was heard in the title role of Verdi’s eighth and least-performed opera, Alzira, in concert performance with orchestra at New York’s Carnegie Hall. The summer of 2003, Maria Knapik was not one Mimi but twice that character, first in Puccini’s well-known La Bohème on July 2 and, also, on July 30, the all-but-unknown La Bohème by Ruggero Leoncavallo, who is known today only for his internationally-appreciated Pagliacci. Each of these new productions were premiered in Central Park’s East Meadow, at 97th Street and Fifth Avenue, and seen/heard by an audience estimated at 8,000 during the thirtieth Anniversary Season of the New York Grand Opera Company, Vincent La Selva conducting. On November 1, 2003, invited by Licia Albanese, Maria Knapik sang as Special Guest during the Annual Puccini Foundation Concert at Alice Tully Hall in Lincoln Center. This summer Maria Knapik will be heard in New York on July 7 as Tosca and on July 28 as Liù in Turandot.